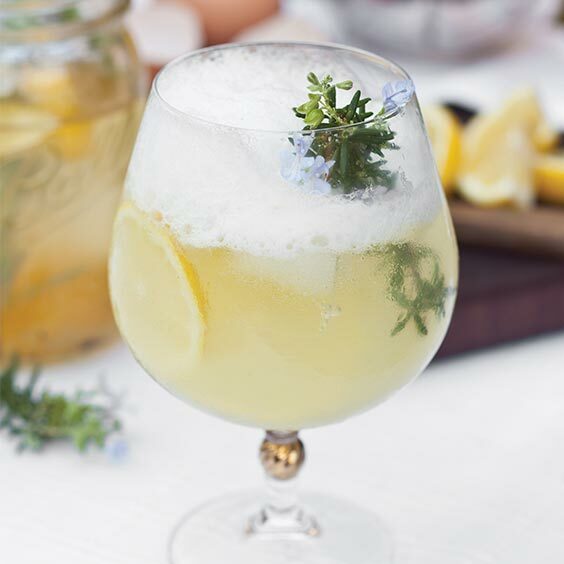 Rosemary Lemon Syrup adds a fresh, citrusy flavor to this Rosemary Lemon Gin Fizz. Fill a cocktail shaker halfway full with ice. Add gin, lemoncello, juice, Rosemary Lemon Syrup, egg white, and 1/2 cup club soda. Shake vigorously. 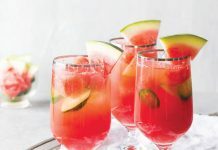 Strain into a chilled glass filled with ice. Add 1/2 cup club soda. 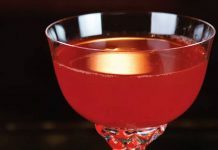 Slowly pour remaining 1 tablespoon club soda down inside edge of shaker to loosen remaining froth. Gently spoon froth onto drink and serve. 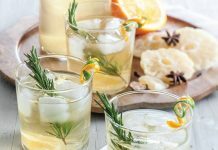 Garnish with rosemary and lemon, if desired. In a small saucepan, combine 2 cups water, sugar, and lemon peel over medium-high heat. Bring mixture to a boil, stirring often. Reduce to a simmer, and cook 10 minutes more. Remove from heat; add rosemary. Let cool completely. Strain, and refrigerate, covered, up to 3 weeks.